Glucomin (Metformin Hydrochloride) is a biguanide type oral antihyperglycemic drug used in the management of type 2 diabetes. It lowers both basal and postprandial plasma glucose. Its mechanism of action is different from those of sulfonylureas and it does not produce hypoglycemia. 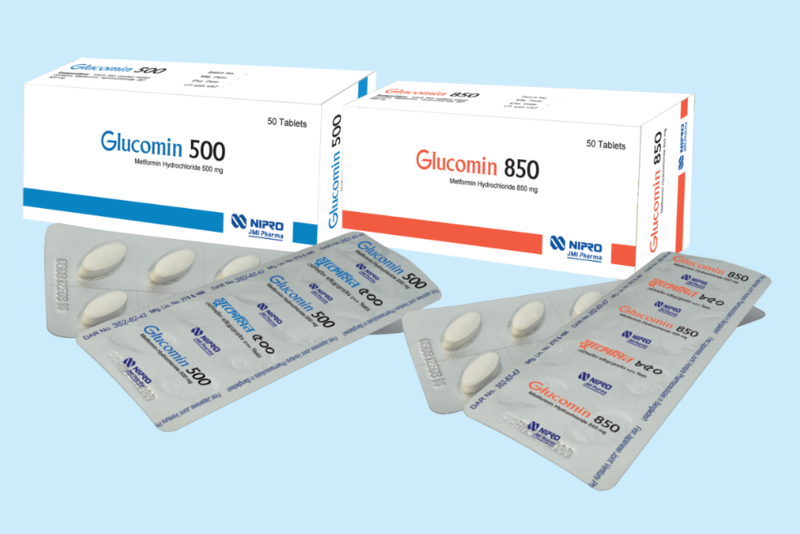 Glucomin decreases hepatic glucose production, decreases intestinal absorption of glucose and improves insulin sensitivity by an increase in peripheral glucose uptake and utilization.